When you’re rushing to make it out the door on time in the morning, you don’t have to skip the most important meal of the day if you take a few minutes to blend up a smoothie. 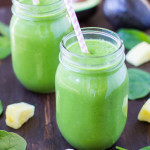 We have rounded up some of our favourites with these 15 healthy smoothies which are perfect for on-the-go breakfasts, and the best part is they won’t leave your stomach growling before lunchtime rolls around. Made with simple ingredients blended to make a delicious, creamy drink that tastes fresh and delicious. You’ll never find a prettier – or more refreshing drink! No weird protein powders needed. Pop quiz: Do you, and does everyone in your family, always eat the recommended number of servings of fruits and vegetables each day? Found a drink that tickles your taste buds? Just click on the links below. *all the links have been triple checked so if you find a glitchy one let me know! 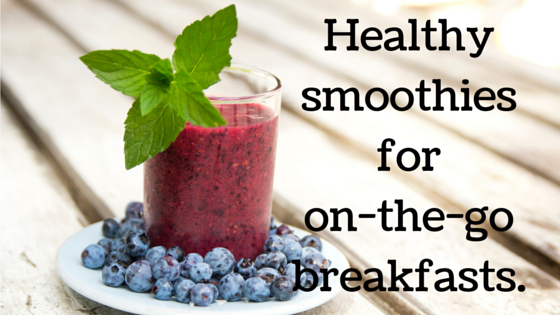 What’s your favourite go-to-breakfast smoothie? Is there a smoothie that should have been added to the list but was missing? Let me know! I would love to hear about it in the comments below. these all look so good. I have been doing smoothies for about a year now so I can get in 6 mini meals a day and I am loving it. Love smoothies so much, I think I can just drink more of those vitamins than I could eat. Love the blueberry avocado one! I want the orange creamsicle every day. But why would I, with all these amazing choices? 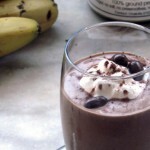 I try to give the kids a smoothie once a week, these are great to bring into the mix! The blueberry muffin one and the blueberry avocado sounds amazing! Thanks for including mine in the mix. Have a great day! Oh wow…what a nice collection of smoothie recipes. I’m Pinning this…my smoothies are usually boring…I’m usually making the same thing – using kale out the fridge and frozen berries. The Strawberry Grapefruit one sounds especially different! Green detox is such a great one for this time of year. Mango banana is my favorite though. I need to start doing this for my daughter for breakfast. It’s a great way to get a lot of nutrition. These look delightful. I have some new protein and veggie powder that will mix well in these smoothies. I really need to change up my ho-hum everyday spinach green smoothie version. These look great! Oh my! This is a fantastic collection of smoothies. The peach vanilla cream looks amazing. Yum! 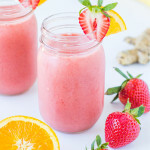 That strawberry citrus and ginger shake is totally something I could do. I love having smoothies for breakfast and adding in a little protein. Kale and Apple Green sounds good. There are others I’d like to try though too, this is a good list. Love this I just got a juicer and this looks like a great list of smoothies! The blueberry avocado one sounds interesting! It also looks like it is low carb friendly which would be ideal! 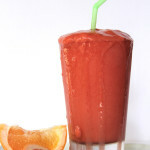 Smoothies are really good ways to get our daily servings of fruits and vegetables. We whip them up a few times a week. 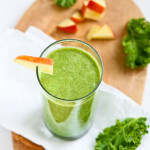 The orange creamscicle and the kale/apple sounds so yummy! Great options for a breakfast on the go. Oh So many delicious recipes! I would love to try the strawberry citrus & ginger! I bet it tastes really good! Can I have all of these, please? That raspberry peach is just calling my name right now. I love a good smoothie first thing in the morning or for lunch! A healthy smoothie sounds like an amazing idea for a great breakfast on the go. These all sound like delicious smoothie flavors. Yummy!!!! I have yet to get a smoothie maker but I use an old blender I have and it does the trick. That Strawberry citrus one looks absolutely amazing! 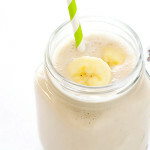 I love having a good smoothie in the morning for extra energy! I love a good morning smoothie! And I love how much my kids enjoy them as well. I make mine with lots of kale and mango. Yum! I will be checking our your collection of recipes – I spy some that sound yummy! Yum! 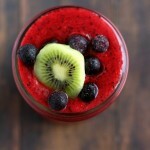 Triple Berry Kiwi sounds amazing!! 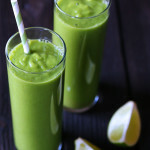 Kale & apple are a classic pairing now for green smoothies! These are great combos for an easy breakfast. I love me a smoothies. I typically go for a strawberry banana variation. They are so good that my kids don’t know they are healthy! I can’t wait to try some of these! My family loves smoothies for breakfast! Or anytime! I would not mind to have them all as my breakfast everyday as they’re all look delicious. Mango Vanillla is my favourite, cause I love everything from mango. My husband and I drink a green smoothie every single day. Sometimes 2. All of these, or most of them, sound incredibly delicious. I think I’d start with the Blueberry Muffin and try some more as well. 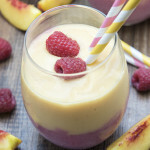 Those smoothies look good and tasty, I would like to try the raspberry peach. I love smoothies. Perfect solution when you’re in a hurry. I do enjoy a good smoothie for breakfast or snack. Fresh berries make the best ones. I would for sure try the Triple Berry Kiwi! I love almost anything berry or strawberry. Everything looks delicious. I love smoothies and I want to try all this. The orange creamcicle and the peach vanilla cream ones sound great! I think I’ll have to pin those! 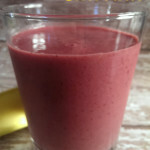 Smoothies are great for breakfasts….since I am not a breakfast person I can mix up a quick an delicious smoothie and take it with me. 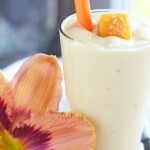 That mango vanilla smoothie looks right up my alley! 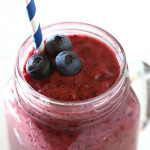 I love smoothies in the morning – so light and refreshing! Oooo I am SO a protein smoothie girl for breakfast. Those are some good ones – I’ve never done an orange creamsicle, but yum! 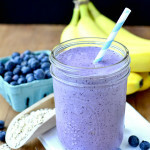 I have a peanut butter breakfast smoothie every morning, but that blueberry muffin smoothie recipe is going on my must try list! Smoothies are our favorite way to start the day and are so easy to make. Thanks for the great recipe inspiration! 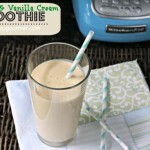 I love that these smoothies look wickedly delicious but are still super healthy. I like the sound of the blueberry muffin one that sounds amazing! 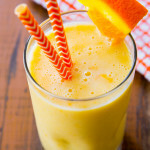 These smoothies look incredible! I Love having a good smoothie for breakfast on-the-go! It’s so tasty and portable! Definitely trying some of these recipes! I definitely want to try a few of these. I have a smoothie almost every day for breakfast! I’m quite a very busy gal so I’m all for anything on-the-go but still healthy. Smoothies work for me because they taste good and are kinda filling for my tummy. Thanks for these smoothies set that I can try every morning and take with me to work.